Admitted to practice in all courts in the State of California, United States District Courts for the Northern, Central and Eastern Districts of California, the United States Ninth Circuit Court of Appeals, United States District Court for Southern District Texas, the United States Supreme Court. Member: State Bar of California, and California Employment Lawyers Association. Co-counsel in Carroll v. Interstate Brands Corporation, an employment discrimination case brought by 20 African Americans against their employer Interstate Brands Corporation. 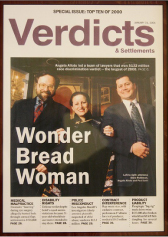 The trial resulted in a jury verdict of $11 million in compensatory damages and $121 million in punitive damages. Mr. Robinson successfully argued and briefed Carroll v. Interstate Brands Corporation (2002) 99 Cal. App. 4th 1168. 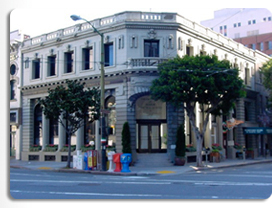 Co-counsel in F. Alioto Fish Company v. The City and County of San Francisco, a breach of contract case. The trial resulted in a jury verdict of $3 million. Co-counsel in Claudine Woolf v. Mary Kay Cosmetics, a disability discrimination case. Trial resulted in a jury verdict of $11.2 million. Co-counsel in Saint Clair Adams v. Circuit City Stores. This was a case of harassment and discrimination on the basis of sexual orientation. The employer attempted to enforce an unconscionable arbitration clause, which was ultimately ruled unenforceable. Mr. Robinson was co-counsel before the United States Supreme Court in Circuit City Stores, Inc v. Adams (2001) 532 U.S. 105. He successfully briefed and argued the case before the Ninth Circuit, Adams v. Circuit City Stores, Inc. (1999) 194 F.3d 1070, and Circuit City Stores, Inc. v. Adams (2002) 279 F.3d 889, Cert Den 535 U.S. 1112. Mr. Robinson’s practice primarily consists of Plaintiff oriented employment civil litigation.